This month, We Hear You speaks with ACECQA’s Qualifications Assessment team about their frontline work assessing education and care qualifications from around the globe. Under the Education and Care Services National Law, ACECQA is responsible for determining the qualifications required for educators and early childhood teachers (ECTs) in National Quality Framework (NQF) approved education and care services, including the assessment of equivalent qualifications. Applications for qualification assessment are submitted by individuals who wish to work with children preschool age and under, or school aged children who attend outside school hours care services. Applications can be submitted online or through a paper-based application form. Once an application is received, the Qualifications Assessment team completes an initial check of the application, including checking whether all of the required information has been submitted. Guidance is available on ACECQA’s website detailing the information required for a ‘complete’ application. If information is missing, the team contacts the applicant to advise what must be submitted in order for the application to be assessed. Since 2012, ACECQA has received over 8000 applications for qualifications assessments, and more than 2000 individuals have been approved as ECTs. 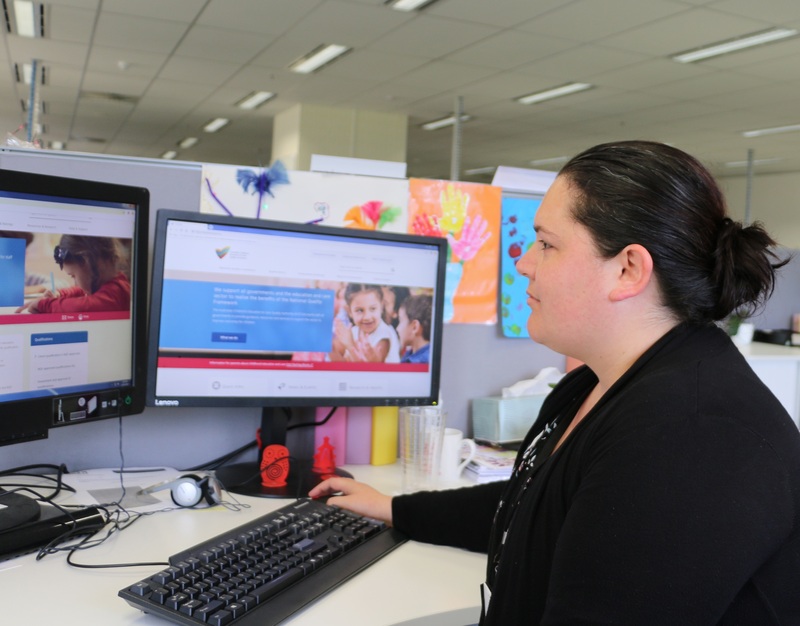 Tania, a Qualifications Assessment Officer who has worked at ACECQA for almost five years, highlighted the broad range of applications received. The team receives applications for the assessment of vocational, undergraduate and postgraduate qualifications, with most from overseas. A high volume of applicants come from the UK, Ireland and New Zealand. As the Qualifications Assessment team works with a diverse range of applicants, including those who have English as a second language, customer service and an ability to convey sometimes complex information in a straightforward and understandable way is critical. To find out more about the work of the Qualifications Assessment team and the qualification requirements of the NQF, head over to the Qualifications section of our website. ACECQA’s Board Chair Rachel Hunter recently presented at the TAFE Children’s Services Teachers Conference in Queensland. Ms Hunter spoke about ACECQA’s role and the higher qualification requirements being introduced from 1 January 2014. A summary of her presentation is available to read on the ACECQA blog ‘We Hear You’. Further information about qualification requirements is available in the Qualifications section of the ACECQA website. If you have questions about the requirements, please contact our enquiries team. As you know, ACECQA is a relatively new organisation. We officially began work at the same time as the National Quality Framework for Early Childhood Education and Care came into effect – the beginning of 2012. Our overarching responsibility is to oversee the consistent implementation of the NQF, which sounds simple enough, but as I’m sure you would all be well aware, represents an incredibly rich and varied range of functions and accountabilities. determining approved qualifications for the sector. There are two sides to this last point – assessing an individual’s qualifications and also evaluating courses offered by RTOs and higher education institutions to ensure they meet the standards set by the NQF. To give you a little background, the NQF was agreed to by all Australian governments with the aim of providing better educational and developmental outcomes for children in education and care services. It recognises that so much of a child’s brain development occurs before they reach school, particularly in the first three years. There is also ample research, domestically and internationally, that suggests the experiences of children during this pivotal period affect their innate lifelong learning potential. And it is even more than just learning potential – there is also strong evidence suggesting that positive early experiences lead to better health and social outcomes for children as they move into adulthood, as well as long-term economic gains. The NQF reforms provide a legislative framework to ensure no child across Australia is subjected to poor-quality early childhood education and care. How do we expect to achieve this? We know there are two main influences affecting quality in the provision of education and care, and they are educator qualifications and lower staff to child ratios. The NQF aims to increase the level of qualifications held by lower skilled workers and the number of highly skilled workers – increasing the skill profile of the sector as a whole. From 1 January 2014, 50% of all educators needed to meet ratio requirements must be working towards, or hold a diploma level education and care qualification or higher, and the other half need to hold or be actively working towards at least an approved Certificate III-level qualification. In 2016 the NQF introduces another significant plank of the quality reform – improved educator-to-child ratios for centre-based based services. These two central tenets of the NQF reform have enormous implications for TAFE and other RTOs. it needs to increase the number of qualified educators overall to meet the new ratios. The last reliable count on the size of the early childhood workforce was the 2010 census data collected by the Australian Government, which recorded slightly more than 139,000 workers. Our sector is currently growing by more than 3% a year and caters for more than 1 million children – that’s excluding preschool/kindergarten children which has also seen huge increases in numbers due to other early childhood reforms. Even without the NQF the demand for staff was growing. When you factor in that this census data indicated 25% of all staff across family day care and centre-based services, excluding OSHC, did not hold relevant qualifications, there is clearly a lot of training to be done. And while some of this demand for VET qualifications may have been met since the 2010 census, it is not going to diminish either. So what is ACECQA’s role in the qualification space? As I mentioned earlier, ACECQA has been granted the power to set qualification standards for educators in each state and territory across Australia. There are three levels of educators ACECQA sets qualification levels for under the NQF – Certificate III and diploma-level educators, and early childhood teachers. While there is much talk of new requirements for early childhood teachers in some states, there is one constant feature of the improved qualification mix for educators – VET qualifications. VET qualified staff formed the backbone of the education and care sector prior to the NQF and they will continue to do so for the foreseeable future. As many of you would be aware, the children’s services training package has undergone a much-needed revision and was released earlier this month for RTOs to start the process of adding it in-scope. Given our role, ACECQA, along with many other stakeholders, provided considerable input into the development of the new qualifications. mandatory practicum or workplace experience. These are important additions that also reflect the NQF requirements. I’ve already mentioned that well-trained staff and ratios that allow staff to interact appropriately with children are two important factors that have a significant impact on the development of children and improved outcomes. a developmentally appropriate curriculum with educational content. Almost all of these factors go to training and ratios as well, so it’s difficult to overstate the importance of the role that TAFE and other training providers have to play in the success of the reforms. It represents a significant amount of work. But I think it’s important to consider there will be benefits for the sector above the improved outcomes for children. Traditionally, the education and care workforce could be characterised as consisting of two groups of employees – highly skilled and tertiary trained specialists and workers with lower level or no qualifications. An improved qualification mix for the entire sector will increase the long overdue professional recognition of people working in education and care. And that will be to everyone’s advantage. How can our sector attract students and upgrade the skills of existing staff? ACECQA has a key role in supporting regulatory authorities in educating and informing the sector of the requirements that it needs to meet. However, it is the Australian and state and territory governments that are responsible for assisting the sector to meet these workforce changes. The timeframes of the NQF reforms are ambitious, and the first key milestone of improved qualifications requirements is almost upon us. All Australian governments have introduced numerous strategies to help meet qualification requirements, which vary depending on the unique challenges in each state and territory. All of these initiatives are captured under the umbrella of the national Early Years Workforce Strategy. grants for educators to access recognition of prior learning if located in regional and remote locations. As well as providing incentive to attract more people to the sector we also need to make sure we don’t lose people from the sector. Low pay is always mentioned as a factor when it comes to attracting enrolments in children’s services courses. Unfortunately it’s not an area any of us here today has control over. Although I do think improved qualifications and its effect on professional recognition may be an important first step. What all of you here today can influence, however, is working to ensure that students who do enrol, complete their course. According to a study by the National Centre for Vocational Education Research (NCVER), while there is little public data, an unpublished paper on childcare courses in Victoria put completion rates for children’s services courses at 33% for Certificate III courses and 27% for diploma courses. living in a remote location. Not surprisingly, it recommended RTOs develop mechanisms to ensure appropriate students are selected into courses in the first place. Not rocket science you’re thinking but how do you do this? committing as an organisation to ongoing academic and personal support for every student. early exposure to the on-the-job component of the course. Granted, these efforts won’t increase the number of people entering the sector, but they could be an important component in maximising graduate numbers and helping to ensure that people who are more likely to finish the training don’t miss out on places that have been given to students unsuited and ultimately unlikely to graduate or remain in the sector. In terms of retraining people already working in the sector we have to make sure we offer flexible pathways. The cost and time needed to access training is obviously one of the biggest impediments for people already working in the sector. Finding creative ways to address the needs of mature students is essential and there is already a lot of work being done by institutions around this. Online courses and the Recognition of Prior Learning process all have a role to play, as do strategies that help mature students feel confident about returning to study after a long break, such as support with technology skills and literacy levels. Establishing pathways where VET qualified educators are able to advance their career by undertaking higher education is another important string to the retraining bow. Career development opportunities not only increase the qualifications of staff but also improve staff retention – an important aim as these educators have already shown a commitment and suitability for working in the sector. These are just some of the main challenges we are facing around workforce capacity. There are more and no doubt our sector will continue to grapple with these for some time. We are all eagerly awaiting the Australian Government’s 2013 Early Childhood Education and Care Workforce Review and its recommendations, due to be published later this year. A requirement under the National Partnership that established the NQF back in 2009, its purpose is to measure the preparedness of the sector to meet qualification changes from 1 January 2014. It will have more up-to-date census information and include data from focus groups, capturing progress in this area since 2010 that will inform future strategies. There is one other area that I think is important to consider in this discussion and that is the issue of quality of delivery. The introduction of qualification requirements will only improve outcomes for children if training is high quality. Given our role as approvers of educator qualifications, ACECQA does hear about issues relating to the consistency and quality of outcomes from RTOs. Quality goes not only to course content but also to delivery. While some degree of variation is expected between RTOs in the delivery of the same qualification, with each RTO developing its own curriculum and course content, what ACECQA is hearing is that at times the variation in standards is significant. Typically concerns are around the length of the course – too short – and the amount of practical experience provided. Increasing demand for qualifications will encourage new training providers into the sector and we need to ensure they are providing quality training. The outcomes for children depend on the quality of our educators, and it is imperative RTOs strike a balance that allows flexibility and innovation in delivery that is not at the expense of their integrity. TAFE has an excellent reputation and nobody wants to see VET qualifications undervalued due to the actions of some RTOs. And in an environment where RTOs are increasingly competing for public funding, it’s also really important that public expenditure is providing the community with value for money and delivering a suitably skilled education and care workforce. To that end, ACECQA would like to facilitate communication between early childhood providers and educators around their experiences with RTOs and to ensure they know to refer any concerns to the appropriate authority for investigation, such as the Australian Skills Quality Authority. There is work to be done around this and ACECQA would be happy to hear any ideas on how best this might be achieved. Part of my role with ACECQA, certainly in our first two years, is meeting with people around the country, talking about the NQF and hearing about their experiences. The thing that I am constantly struck by is the enormous amount of support for the reforms to children’s education and care. There is widespread recognition of the value and need to make sure children are given the best start possible. While there may be questions around how a particular aspect of the framework is going to be achieved, it is within the context of available resources and timeframes. Not about whether the outcome is worthwhile. As the providers of training to the sector, your role in contributing to the success of the NQF is substantial. TAFE has a long and proud history of providing quality training that meets both sector and student needs. ACECQA sees the provision of a suitably skilled workforce as integral to improving outcomes for children and has been working continuously to resolve issues around qualifications for the past 18 months, and will continue to do so. We are always interested to hear of your experience and I really appreciate being asked to speak at your conference today. Rachel Hunter is the chair of the Australian Children’s Education and Care Quality Authority 12 member Board. Rachel has an acute interest in the role education and the arts play in individual, community and economic development. 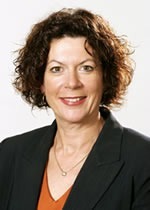 Rachel was Chair of TAFE Queensland, and as such was the lead executive and spokesperson for the TAFE system. Rachel is currently the chair of Legal Aid Queensland, Deputy Chair of the Queensland Performing Arts Trust Board, a member of the Griffith University Council, and a member of the UQ College Board. Rachel was formerly the chair of QCOMP until 30 June 2012. Rachel retired from the position of Director-General of the Department of Justice (including private and public sector industrial relations and workplace health and safety) in July 2010. Rachel’s previous roles as CEO included Director-General of the Department of Education, Training and the Arts, and Director-General of the Department of Justice and Attorney-General. She also served as Queensland’s Public Service Commissioner.